A new build dormer bungalow in the affluent Ringley Chase area of Whitefield, Manchester. The property originally began it’s life as a double garage, which the clients wanted to knock down and subsequently building their ‘forever home’. 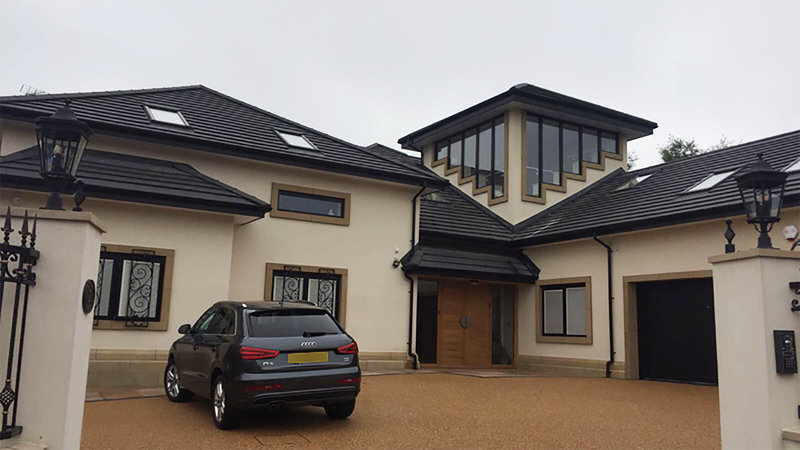 StonePlus provided a much faster installation timeframe – dropping weeks off the initial build time – whilst maintaining a traditional appearance with the many benefits of StonePlus.